Our vast experience servicing corporate clients such as Cold Storage as well as SMEs alike allows us to provide the best solution for your needs. A frozen system with a standard temperature of -18ºC. We deliver frozen seafood, fish, prawn, crab, chicken…. * Note: Every new destination is considered as new delivery. 3. Collection will be done before 4.30pm or within 4 hours prior to the delivery, whichever is later. For bookings after 4.30pm , delivery will be on the following day. For bookings after 4.30pm, delivery will be made on the following day. Lack of time? Limited budget? No worry! We work around your timing & budget. Within 1 day, have your order processed & completed. Customer service is on standby now. Try us! Question about our delivery services? Fill in the form below and enquire now! Bulk chilled-frozen transportation is a common term in the food industry. What’s fresh need to stay fresh! In order to maintain that, lot many factors are followed within strict protocol. Proper handling and storage of foods is a skill that cannot be mastered by everyone. Companies who are into temperature-controlled transportation are the only resources that have the proper knowhow and the right equipment to accomplish this unique kind of delivery. Doable, as much as this may sound, a lot many challenges are faced at various levels by professionals who dare to undertake such overwhelming tasks. Conditioned transportation of products has been always like a race against time and it needs to be won on a regular basis. Failing is simply not an option here since the amount being transported is in bulk. So how is this feat achieved again and again? The answer is Refrigerated Trucks. 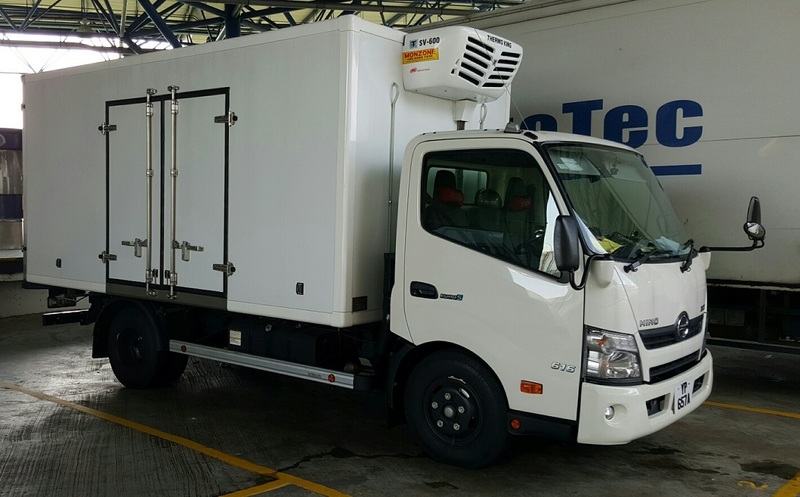 Different from traditional vans and trucks, these are designed to carry perishable freight at any specified temperatures. They come fitted with cooling apparatus which creates the right climate for the items to reach in good shape. Generally, trucks use mechanical refrigeration systems that get its power from displacement diesel engine. Carbon dioxide in dry or liquid state is also used to create optimal temperatures and keep the space as cold as required. 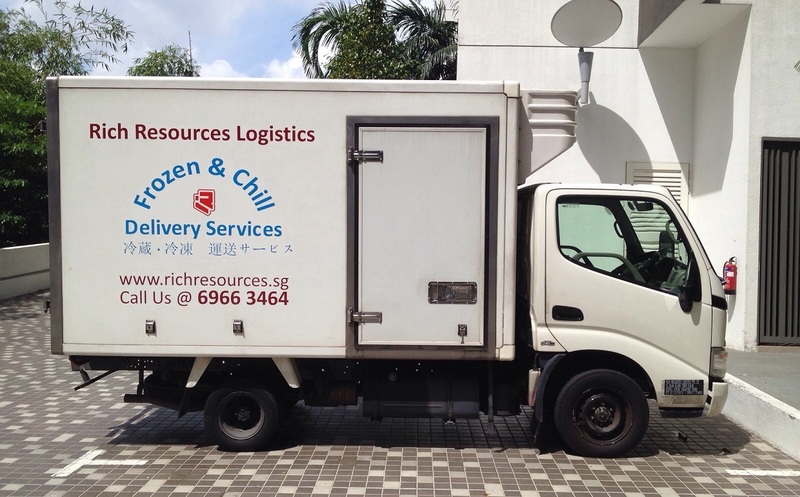 So does having refrigerated trucks end all worries related to chilled courier service? Well, not entirely! For instance, urban areas that generally have a warm climate throughout, creates more problems for frozen food distribution. One best example to explain such scenario is the case of Singapore. Although the country has a modest temperature, it has, however, a high humidity and dry foods when exposed to high humid areas lead to the decaying of food. Also, there are high chances of contamination if effective measures are not taken to save the food from being exposed to the hot outside even for a second. As a result, frozen parcel needs to be moved in a way that they are not exposed to the hot temperatures outside. Transporters need to be very precise with their handling and delivery in order to ensure a contamination-free transportation. Be prepared when it comes to cold item delivery. Perishable goods need to be saved from excessive temperatures, humidity, and contaminants. So, packaging is crucial. Package your shipment correctly, so that the perishables stay fresh until they’re delivered. Different kinds of packaging are used for different category of a perishable item. The packaging, however, can be divided into two types – internal and external. The most recommended insulation to reduce the transfer of heat through the walls of the packaging is EPS (Expanded Polystyrene), rigid polyurethane foam, aluminum foils, etc. For external packaging, go for sturdy and strong airtight containers. Make sure you have used plenty of tape to keep the box from opening during transit. To ensure proper food service distribution, you need to identify a perishable product first. Examples include, but are not limited to seafood, meat, fruits, vegetables, dairy, live tropical fish, pharmaceutical products, chemicals and other hazardous substances. Being sensitive to temperatures and due to a very low shelf life, they require special packaging and distribution. With proper refrigeration and insulation, you can keep the products within the required temperature ranges. The right practice can help you keep the products frozen or prevent products from freezing.